He needs his wing removed, it is broken and painful, and he steps on it when walking. There is a sanctuary lined up to take him after surgery! Poor Bird has a Broken Wing! Did you know that pigeons and doves can live over 20 years, and mate for life? 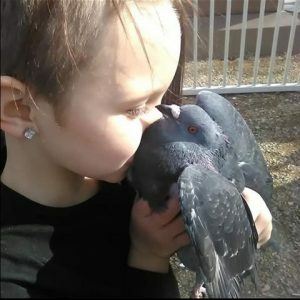 Mariah runs a wild-bird rescue and sanctuary in the Las Vegas area. 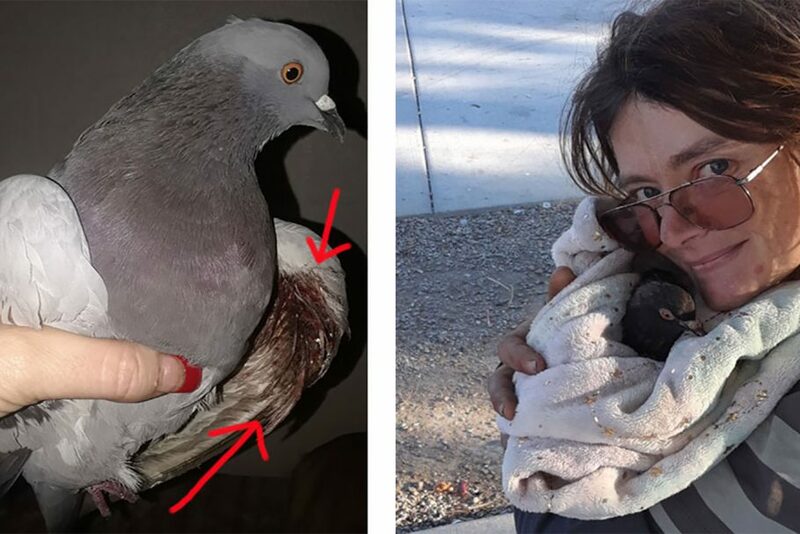 She rescues pigeons and doves from wedding releases, owner surrenders, racing pigeons and injured wild birds that are reported to her. This guy, named Free Bird, was found in a gutter with a broken wing. 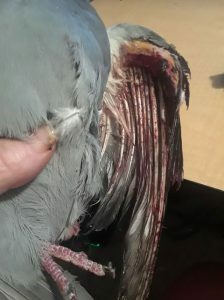 Mariah has had him examined by her vet who works with her to help these birds and offers a substantial discount for his services. Birds usually have to go to a specialist vet, and their care can be quite expensive. Free Bird cannot fly, and when he walks he steps on his dislocated wing. 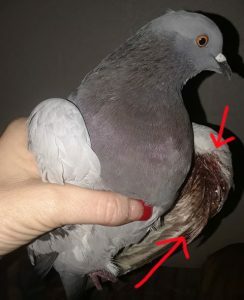 The vet wants to remove the wing, and that is just fine! Mariah has a place for him to go where he will be safe and happy with other birds that cannot fly, and she also has a network of adopters. 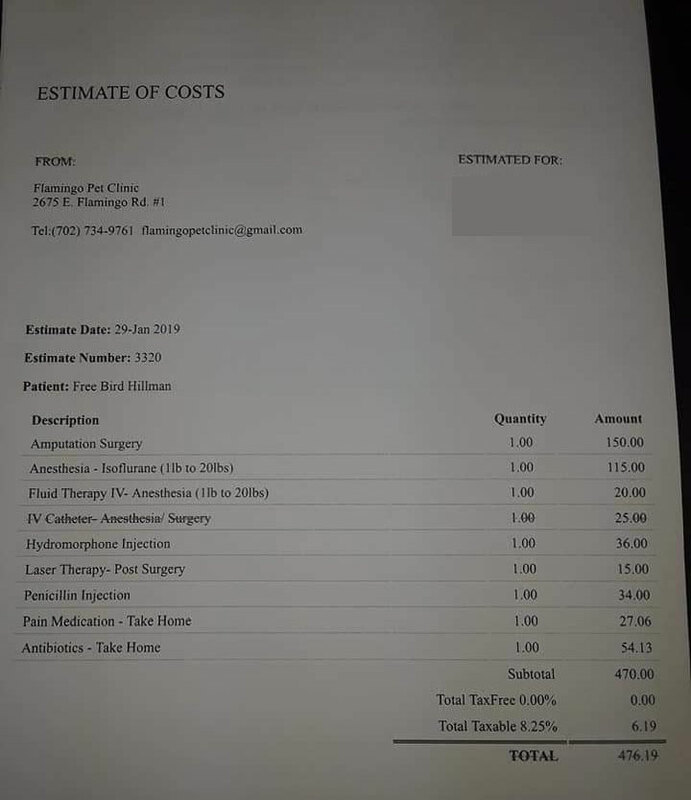 We think it is amazing that someone has taken on helping these animals, and has a comprehensive system in place to care for them, and a veterinary partner. 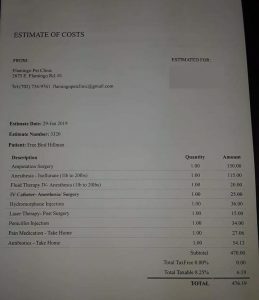 Before Mariah found out about Free Animal Doctor she started a fundraiser for Free Bird on Facebook that has raised about $200. 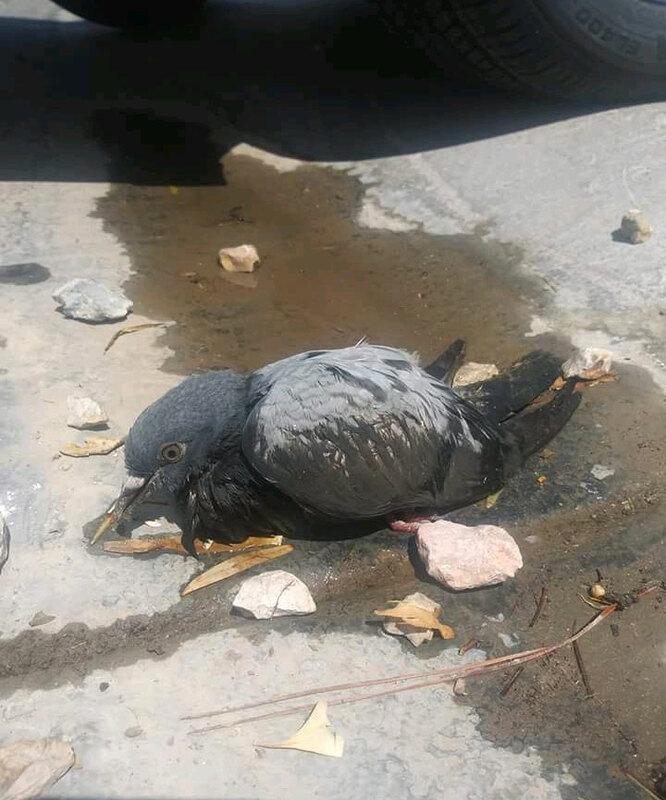 The total cost for care will be about $500, so we are hoping to raise the $300 additional to get Free Bird out of pain and on the road to recovery! I hope you guys can gather enough money for the operation! We should help all the animals in pain because we can. I think pigeons get a bad rap so I’d like to help one out. I think pigeons get …a bad rap so I’d like to help one out. I hope you guys can …gather enough money for the operation! We should help all the animals in pain because we can.